Proposals vs Invoices: What's the Dif? I’m Heather, owner of Creative Biz Blueprint & Heather Mackan Design Co. As a graphic & web designer, design has always truly been my heart and soul. I received my graphic design degree, and graduated with honors from the The Art Institute of Pittsburgh. My wheels are always turning on how to make my creative biz work more seamlessly, and my hope is that I can help you make your biz run a little bit easier too! 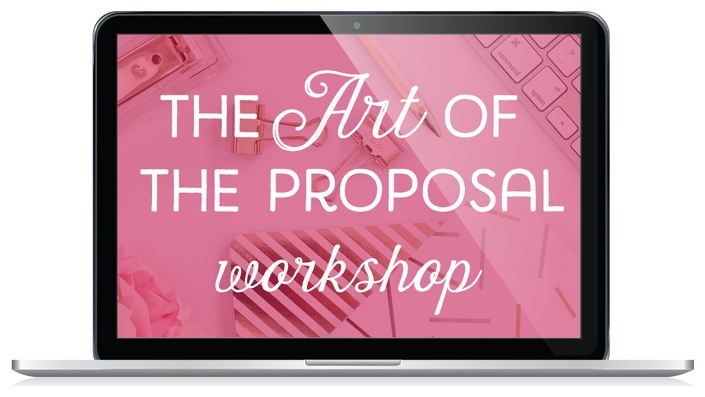 This workshop is for the creative who is looking for an introduction to proposals and invoices and/or is looking to improve their current proposals. This workshop is geared at designers, but can be easily customized to any creative service!